In yesterday's post, I mentioned The Great Purge of 1983. I received some inquiries about that purge, for example, this comment from Connie, "I am really curious now. What happened that caused the Purge?" I have been femulating for over half a century and I only purged once, so that is why I call it "The Great Purge of 1983." In the trans timeline, 1983 was Mesozoic. There was no Internet and there was very little published information on the subject. We were flying in the dark and grasped any bit of information we could find. One legend was that you would stop femulating when you fell in love and got married. I bought into that legend because I stopped femulating after meeting my future wife and did not femulate for over two years while we dated and became engaged. About a week before our wedding, I purged everything because I assumed I was done with femulating. Like I wrote yesterday, "not only did I discard replaceable items like clothing, wigs, makeup, etc., I also discarded irreplaceable items, primarily my collection of self-taken photographs. As a result, I no longer own a single photo of myself en femme prior to age 32." Our wedding was in late September. One month later, we were invited to a Halloween party and I dressed as a woman. 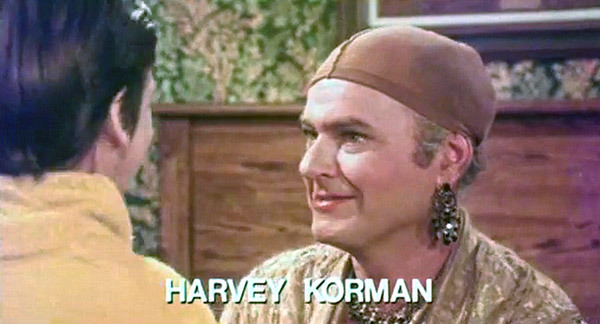 Harvey Korman femulates in the 1979 film Americathon. No purge, but everything and anything of value in my clothing stash was sold on EBay with the proceeds going into the move to Portland. I drew the line at my reproduction Bunny uniform and a couple of favorite Halloween vintage things. I'm on a watch list with Hef's lawyers over the uniform (long story), and I know I'd never get a chance at another one. I understand exactly where you're coming from. When I was a teen, I would scour my city for any information/articles about crossdressing. Then, I'd feel totally guilty and throw my collection away. Even when I got older, I was so terrified of someone finding my pictures/articles that when I moved out of the country, I purged again, lest something happen to me abroad and my parents find them.